General questions or specific info needed? For inquires about roster spot availability, specific program info or any general questions; please use the "Contact Us" feature to the right. The appropriate individual will reach out to you soonest. Wow! We knew you loved hockey and we knew you loved our Dogs, but the response to the Donor Campaign has been fantastic! We are powering towards our goal and MORE! If you haven’t yet, join your fellow Ice Dogs and click here to keep bringing high-quality, affordable hockey to youth in our community! Donors of $100 or more will receive an awesome (and exclusive to this fundraising effort!) Ice Dog branded sports water bottle. Don’t forget to come claim yours at Ice Dog Night on Wednesday May 1! On Wednesday May 1st, the Northern Virginia Hockey Club will host its annual Ice Dog Night and General Membership Meeting. The event will start at 6pm at the Mt. Vernon Ice Rink. There will be a Stick and Puck from 7:15 to 8:45 pm. The annual General Membership Meeting will include elections for the 2019-2020 Board of Directors and a vote on By laws updates. More information is below on the event, the elections, and a request for nominations for the Club's Board of Directors. The ice will be segmented by birth-year but all ages will be on the ice for the full 90 minutes. Cash or Paypal only so plan accordingly! Below you will find a list of the elected board positions along with their descriptions. If you are interested in serving on the board please email Club Secretary, Carson Evans, at carson@carsonevans.com with a one paragraph bio/introduction and what position you are interested in. You can also email Carson with any questions you have about the board or other volunteer positions. Nominations will remain open through April 16th. On April 17th information on all candidates will be emailed to this general membership email list. Starting at 6pm on Ice Dog Night, each family may cast one ballot for each player their family has in the club. For example, a family with two registered players gets to cast two ballots. The ballot will include the ability to write-in candidates. The election will close at 8:30pm and results will be tallied and certified by the current board immediately. During the 2018-2019 season the Board of Directors brought the Club By laws up to date. This is the first major revision since the the 2008-2009 season. According to our By laws major updates to the By laws require general membership approval. More information, including the full text of the by laws to be approved, will be sent out in a separate email. The ballot for the Board of Directors will include a Yes/No question on approving the updates to the By laws. In addition to the elected positions listed below, there are many volunteer positions. If you are interested in getting involved please email any current board member for more information. The Club Board of Directors is comprised of the following 15 elected positions. If you are interested in serving in one of these positions please email a short bio/introduction to our club Secretary, Carson Evans, at carson@carsonevans.com. President - shall be the Chief Executive Officer of The Club and preside over all membership and Board of Director meetings. The President shall ensure the conduct of regular business of the NVHC is in accordance with the NVHC by-laws and Operational Guidelines, using Roberts Rules of Order (latest edition). Vice President - shall exercise all duties of the President during the President’s absence, to include running Board meetings and chairing the Governance Committee. The Vice-President supervises the Scheduler and Registrar. Secretary - shall exercise all duties of the President during the President’s and Vice President’s absence, record and maintain the minutes of all membership and Board of Directors meetings and maintain the files of the NVHC. The Secretary will track action items agreed upon during board meetings and track them through resolution. The Secretary is responsible for planning Ice-Dog Night, our Annual Membership Meeting, and running the annual Election for Board members. Treasurer - shall exercise all duties of the President during the President’s, Vice President’s, and Secretary’s absence, receive, account for, and disburse all NVHC monies, maintain an NVHC account, and submit written financial reports for membership and Board meetings showing NVHC’s financial condition as of the last day of the preceding month. The Treasurer shall maintain records of such standard disbursal as those for game officials, insurance, USA HOCKEY registration, equipment and ice costs, and other legitimate Club expenses. The Treasurer shall prepare a full written financial report for the annual meeting showing the last received bank statement which shall include budget estimates for the coming year based on predicted membership. The treasurer shall prepare such tax reports as local, state, and federal laws mandate and make recommendations to the Board on membership dues and registration fees, when changes become necessary. The Treasurer shall ensure the execution of an external audit prior to the annual election of officers. CCHL Program Director - is responsible for administering the CCHL program under the direction of the Board. In this capacity, the CCHL Director is responsible for submitting ice time requirements to the scheduler for each season. The CCHL Director shall refer conduct issues within the CCHL and Learn to Play programs to the Governance Committee for adjudication. 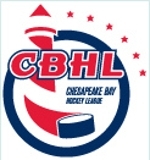 CBHL Program Director - is responsible for administering the CBHL programs under the direction of the Board. In this capacity, the CBHL Director is responsible for submitting ice time requirements to the scheduler for each season. The CBHL Director shall refer conduct issues within the CBHL program to the Governance Committee for adjudication. Girl’s Hockey Director - is responsible for administering the Girl’s programs under the direction of the Board. In this capacity, the Girl’s Hockey Director is responsible for submitting ice time requirements to the scheduler for each season. The Girl’s Hockey Director shall refer conduct issues within the Girl’s programs to the Governance Committee for adjudication. 8U and Learn to Play Program Director - is responsible for administering the Eight and Under and Instructional programs under the direction of the Board. In this capacity, the 8U/LTP Director is responsible for submitting ice time requirements to the scheduler for each season. The 8U/LTP Director shall refer conduct issues within the 8U and LTP programs to the Governance Committee for adjudication. The 8U/LTP coordinator will oversee promotion processes for LTP players onto CCHL, CBHL, and Girl’s teams and work with the Jamboree coordinators. At-Large Members - shall accomplish duties as assigned by the Board. Typical duties include committee membership and collateral duties in support of Board responsibilities. Age Group Representatives - shall act as the conduit between the Board and their respective age groups across all programs. They will be involved in decisions that involve their age groups, including coach and team selection, member conduct, scheduling, and relevant NVHC committee participation. They shall ensure that all age group requirements are properly routed to those that can best support the players with the intent of maximizing the positive experience during the playing season. The Club will elect an Age Group Representative at five age groups: 8U, 10U, 12U, 14U, 16/18U. NoVA Ice Dogs 8s meet TJ Oshie! Check out our very own 8U Ice Dogs with a feature produced by NBC Sports. Our special Mites on Ice group also had the privilege meeting TJ Oshie! This is scheduled to air on NBC Sports Washington during their pre-game show in advance of the Caps taking on the Carolina Hurricanes on Thursday, March 28th. The high powered NoVA Ice Dogs 16U UA boys team traveled to Richmond on February 23-24 to compete for the CBHL 2019 Championship. Fresh off a Can/Am tourney win in Montreal, Quebec during the previous weekend, the Dogs were confident and focused as they prepared to take on the CBHL's other top teams bound for the playoffs. First up for the Ice Dogs in the semi-final game was the Frederick Freeze. The Ice Dogs knew this would be a tough contest having lost both regular season games to the Freeze. Determined to make things right, the Dogs came out with intensity, tallying first when Dean Jones snapped a quick shot from the point that was tipped by Joe Jafari. A short time later, Aiden O'Brien capped off a full ice rush beating the stunned net minder with a sizzling snipe over the right shoulder. It didn't end there. Luke Mattson calmly skated the puck in front of the net, picked his spot and shelved it -- 3-0 Ice Dogs after one period. The Freeze clawed their way back to close the gap to 3-2 at the end of two periods. The first half of the third period was a dog fight until O'Brien poked home his second of the night, putting the Ice Dogs up 4-2. In desperation mode, Frederick pulled their goalie with just under 3 minutes remaining in the game. Jack Cahill finally sealed the deal with a full-ice dagger right in the middle of the cage. The 5-2 win punched the Ice Dogs' ticket to the Sunday final. The Ice Dogs knew the Championship game would not be a walk in the park. The Hagerstown Bulldogs, the CBHL's top regular season team, won the last head to head matchup in early January by stealing a win with just seconds remaining in the 3rd period, on our home ice in Mount Vernon. The loss left a bitter taste with the Dogs that they had no desire to experience again. The Ice Dogs were determined to avenge the loss and what better time to do it than the CBHL Championship game. Much like the semi-final game, the Dogs started off fast and struck first on a nifty 2-on-1 dish from O'Brien to Jake Guthrie who was driving hard to the net. After some exciting back and forth action throughout the first period by both teams, the Dogs broke through Hagerstown's tough defense yet again. This time it was Johnny Szczerban's back door sneak attack off a nice behind the back blind pass from Arthur Seng, leaving Szczerban standing free and clear to put the puck home -- 2-0 Ice Dog's after one period. The final two periods were constant battles in the trenches with some great scoring opportunities on both sides, each team fighting for their Championship lives. Thanks to some stingy team defense and stellar play by Ice Dog goaltender Lucas Hernandez, Hagerstown was unable to convert on any of their shots. With the scoreboard showing "Home: 0 and Visitors: 2" with 00:00 on the clock, gloves, sticks, helmets, and water bottles went flying and the NoVA 16U UA Ice Dogs were officially the 2019 16U UA CBHL Champions!